Does your windshield have a thousand tiny pits that impair your visibility? Does your glass pass your state's vehicle safety inspection? Consider this: Industry experts have estimated that windshields provide between 18-22% of the overall structural integrity of a vehicle and up to 70% of the structural integrity in a rollover accident. Jeep vehicles are no exception. Cracked windshields expose the laminate that joins the layers of glass in the windshield, resulting in delamination. This de-lamination results in a dangerous reduction in the structural integrity of a vehicle. 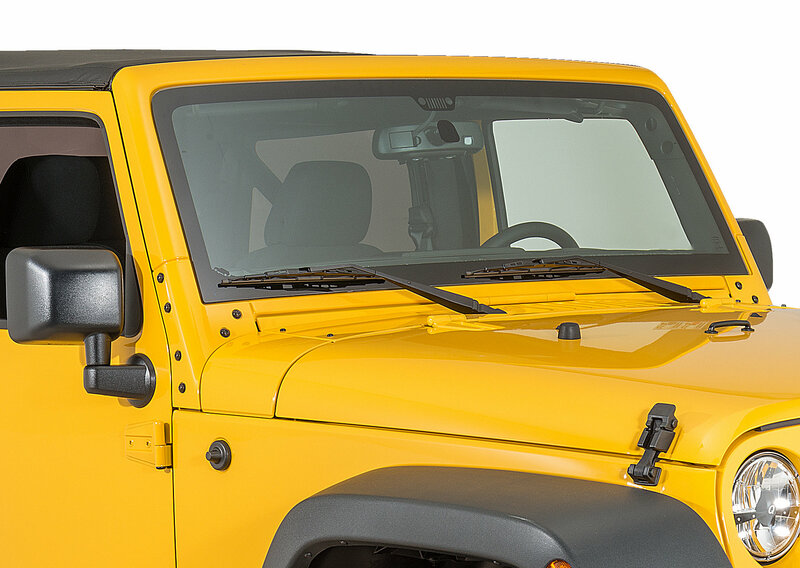 Replacing worn or damaged windshields increases driver safety and comfort. There's nothing like seeing through a brand-new piece of glass. For your safety, an experienced technician should install your new windshield glass. For your safety, we recommend that glass windshields be installed by an experienced technician. The Windshield was a Mopar stamped and seemed to be a really good windshield.